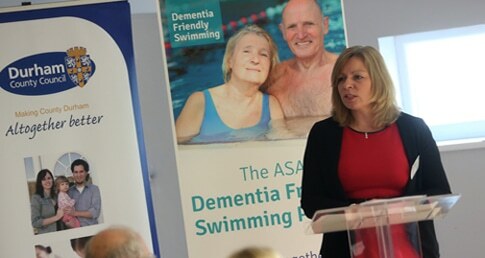 The ASA Dementia Friendly Swimming Project has been selected as a finalist in the 2015 Alzheimer’s Society Dementia Awards. The project is one of three finalists in the best Dementia Friendly Project category. Lara Lill, head of Health and Wellbeing at the ASA, said: “The team is incredibly proud to have been selected as a finalist at this year’s awards. The Award Ceremony will take place on 16 September 2015 and will be hosted by Alzheimer’s Society Ambassador Angela Rippon. To see the full list of nominees, please click here.